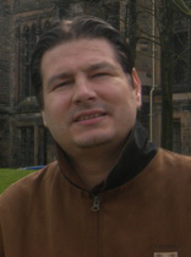 Co-author of 5 papers included in ISI/Web of Science (conference proceedings books). A. Peters, University of Illinois at Urbana-Champaign). Co-edited 4 books on Wittgenstein. knowledge production, and managing interactions in virtual communities. Research Journal – for CSA, New York. University, Yale University, Princeton University, Cambridge University, etc. Denbridge Press/Addleton Academic Publishers, New York, 2007, 180 p.
Denbridge Press/Addleton Academic Publishers, New York, 2008, 188 p.